Epping Forest is located in Essex in the south west of England. The seat was created in 1974 and has been held by the Conservative Party ever since. The current member of parliament is the Conservative Party’s Eleanor Laing who has served since 1997. 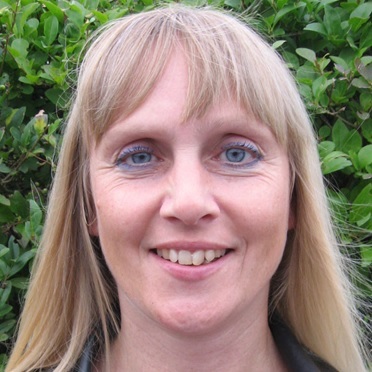 I have lived with my husband in Epping for 12 years, and have also lived in Waltham Abbey and Debden. 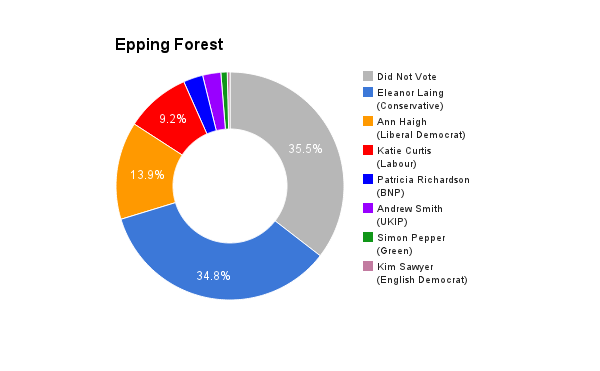 I have been an active member of the Green Party locally for 18 months, and campaigned during the local and European elections in 2014, when we won our first seat on Epping Forest District Council. The Green Party’s slogan, ‘for the common good’, sums up my beliefs: in fairness, in an equal chance for all, not just those in areas where votes could swing an election, but in making sure the voices of all are heard. If elected I would fight to keep local services for everyone. I would work to create a fairer society that protects the planet for the future. I have been in touch with the electorate by answering many emails on a range of issues. I will also be participating in hustings on 20th April at St Mary’s Church, Loughton, 8-9.30pm, and 23rd April at St John’s Church, Epping, 8pm. I am the best candidate for this constituency because I care about everyone, not just those that might vote a particular way, and would work for fairness for all. The present MP has responded to communications from constituents, and in one instance followed up and contacted relevant people to make sure something was done. Austerity is definitely not working. Nearly a million people using food banks in a year, and disabled people who cannot work losing vital benefits, are examples of this. Services need to be available to all, as all of us could need them at some point; and if we don’t, they are there for those who do. The government say the economy is improving and jobs have been created, however many of these jobs are part time, zero hours contracts, or on a minimum wage that isn’t a living wage. The economy may be improving for those who have money anyway. Legal immigration is vital for the UK. Historically, immigrants have contributed hugely to the development of this country, and this continues today. Studies have shown that most immigrants give more to the country in tax than they take. Many British people live or work abroad, and the same should be allowed for people who want to live or work in the UK. The cost of living in the UK is a legitimate concern, with wages having failed to rise in line with the price of food, energy and rent in recent years. The Green Party would correct this by increasing the minimum wage to £10 an hour by 2020, by having caps on energy prices and on rent, and by a variety of other policies designed to make life easier for those on lower incomes. The NHS, in my opinion, needs to be owned and run by us all. The Green Party would reverse recent changes which have meant parts of the NHS are run by private companies. Private companies need to make a profit, which takes money away from services. We would ensure it is properly funded, with a fairer taxation system so that those with more money pay more, including big companies. Then health services will be available for us all, without having to worry. The Green Party would start a big job creation programme, for example in the green energy sector and in house building. This would include vital training or retraining. We would provide youth schools with a wide variety of courses, life skills, and practical and vocational training, which young people could opt to attend from the age of 14; this would enable them to further their education in order to find an appropriate job. The Green Party believes that education should be lifelong and free, and would provide appropriate education and training for those who are unemployed or have never been employed. I believe that the lack of diversity in Parliament equates to a lack of representation. Our representatives in Parliament should reflect us as a society, including economic and social background, race, religion, ability or disability, sexual orientation, and gender. The current makeup of Parliament, including many from particular social backgrounds and who attended private or independent schools, means they do not represent most of society, and many feel disenfranchised and alienated from the political system. If an EU referendum were to take place, I would encourage constituents to vote to remain in the EU, as we benefit from European employment laws, human rights laws, trade agreements and the right to move within the EU to live and work.